Laser light shows, snow machines, giant inflatable Santas and even a donkey – yes a real live donkey – some streets go above and beyond to spread the Christmas cheer, and we have sourced the best in each capital city around the country. Is there a better way to get the whole family in the festive mood than a Christmas light street crawl around your neighbourhood once the sun sets? We think not. Take things up a notch by packing everyone a special treat bag full of rocky road, candy canes, gingerbread biscuits, and some glow-in-the-dark or fairy light wearable accessories. All that’s left to do is set your Spotify Christmas carols playlist to shuffle, buckle up, start your engine and you’re good to go. 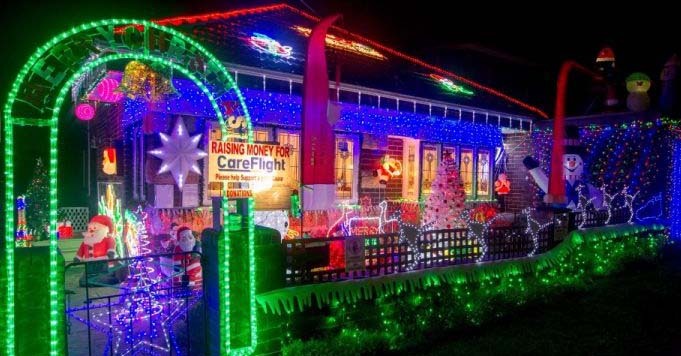 If you’re not located near a capital city, you can use the handy Christmas Light Search website to see which houses are shining bright near you.